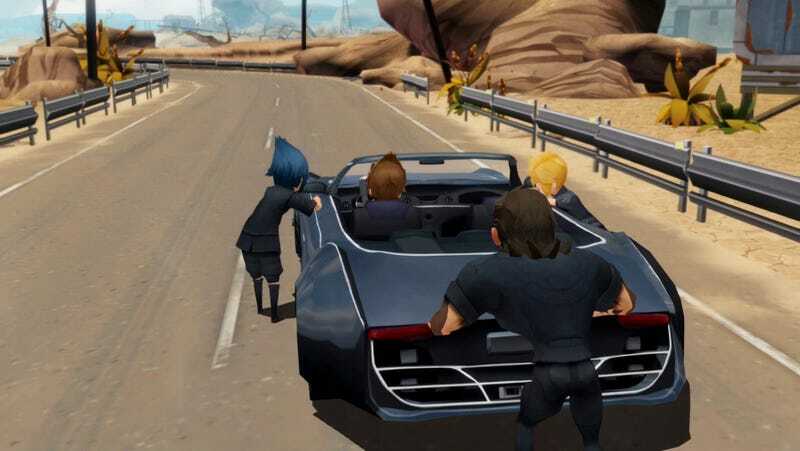 Last month, Final Fantasy XV director Hajime Tabata teased a version of his game for the Nintendo Switch. But when I asked him about that port to Nintendo’s hot new console, he wanted me to share a different message: He can’t actually find one. “I want you to make the headline, ‘Tabata has not been able to purchase the Switch,’” he told me in Seattle last weekend, speaking through a translator. But wait a minute, I said. He’d just said that Nintendo gave him a call. Why not ask his contacts over there to hook him up?